Sell Your Diamond Ring In London today. Get a quote within 24 hours. Based in Hatton Garden, London, We aim to pay the best price for your diamond jewellery. Are you looking to sell your diamond ring? As one of the most trustworthy diamond jewellery buyers in London, we at The Luxury Hut provide you with a secure and fast way to obtain cash for diamonds, be it is online or via appointment. With the necessary experience and substantial knowledge in the pre-owned diamond jewellery market, we make sure to offer you a professional and hassle-free valuation right away when you sell diamond rings for cash. Whether you decide to sell your diamond ring online or via appointment, The Luxury Hut continuously works to make the process of selling simpler and more straightforward, enabling you to acquire the best market price for your asset. For those who are looking for the best place to sell diamond rings online, begin the process by filling up our online form and get an initial appraisal within 24 hours. The entire process may take as little as two days to complete, from obtaining a quote, sending your asset to getting paid. There may be many places where you can decide to sell a diamond ring, but many say there is nowhere as reliable as us. As one of the best diamond buyers in this industry, The Luxury Hut carries out the best valuation process and offers an accurate value for any diamond ring. People often ask ‘What is the value of my diamond ring?’ when they sell it for cash. The answer is different for everyone. The real value of a pre-owned diamond ring depends on several factors and characteristics. Considering all the elements, our experts determine an accurate estimated price. With over 40 years of combined experience, The Luxury Hut aims to provide you with the best offer for your precious diamond ring. Fill in our online form and get a free instant quote from our expert evaluators. Why should you sell diamond rings to The Luxury Hut? When you are searching online, ‘sell diamond ring London’, ‘sell diamond rings for cash’ or ‘best place to sell diamond rings in London’, you will find many online jewellery buyers including the ones who often lack the requisite experience or market knowledge to make a competitive and fair offer. As with any other diamond jewellery, choosing a potential buyer to sell your diamond ring is always essential to secure an honest and accurate price for your priceless asset. If you decide to sell a pre-owned diamond ring, the best place to get the fairest amount of cash for diamonds will always be – The Luxury Hut. We, at The Luxury Hut, is committed to providing you with a smooth, fast and secure way to sell diamond rings both online and via appointment. 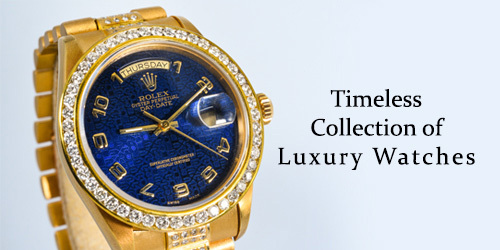 The Luxury Hut is one of the leading buyers of second hand diamond jewellery. 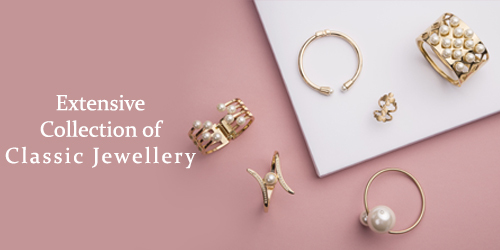 Whether you want to sell your engagement ring or sell a solitaire ring, our trained jewellery experts will take the time to assess every feature precisely along with other relevant aspects, thereby releasing the best value of your asset. At The Luxury Hut, we buy both certified and non-certified diamonds for the most competitive price possible in the market. For those who are looking to sell diamond rings online in London or from anywhere in the UK, we may provide you with a special and secure delivery envelope or arrange for courier collection to send your valuables with full confidence and peace of mind. However, if you decide to sell a diamond ring but do not possess enough information or seek expert advice, we at The Luxury Hut is happy to arrange an appointment with our in-house diamond specialists and carry out the further procedures immediately, making a genuine offer. We are always on hand to make the selling process fast, straightforward and convenient, guiding you through each step of our procedures, be it is online or via appointment. Thus, complete our online form now and get your quote in no time at all or call us on 0207 242 5411 to arrange an appointment with one of our experts. What Types of Diamond Rings We Buy? Whether your ring comes with one diamond or many diamonds, we at The Luxury Hut buy all types of diamond rings for the most competitive price in the second hand market. You can sell diamond rings to us at The Luxury Hut both online and via appointment. What is the value of my Diamond ring? When you sell your diamond ring for cash to The Luxury Hut, you are likely to obtain the maximum price for your asset, considering its current market value. For those who are wondering, ‘What is the value of my pre-owned diamond ring?’ it is foremost important to apprehend that it may not an easy question to answer. Diamond rings are expensive possessions and comparatively, complex materials to grade as well as value. While there are virtually twenty significant factors that determine the value of diamonds, one of the most common ways to ascertain the quality and value of a diamond is using the 4 C’s grading criteria formulated by the GIA. Although a certified diamond that comes with an excellent cut grade may fetch you a higher price, the condition of your diamond ring will play a significant role in establishing the final price that we at The Luxury Hut is willing to offer for it. Ideally, the best way to ascertain the actual value of your diamond ring is getting an appraisal from our diamond specialists. While your diamond will be carefully inspected by hand, we will also evaluate the precious metal that makes up your asset and consider the current market price to do accurate valuations. Thus, to accomplish it: Complete our online form and get a free valuation right away from our team of professionals. How to sell your diamond ring online? Fill up our form – Provide us with the details of your diamond ring as much as possible and most importantly, attach high-resolution images of the asset as well as of other documents (if any). The more details you can give us, the more accurate we can be with our valuation. Accept it and get paid via your preferred method of payment. With our team of jewellery experts, we complete transactions of every size quickly and securely, offering the best possible price when you sell your diamond ring to us. The Luxury Hut has been dealing with diamond jewellery for years. You will get the fairest price for your second-hand diamond ring if you sell it to us. Our experts assess every item carefully and determine its actual current value. We will look at the weight, shape, condition, clarity, cut, fluorescence and grade of your second-hand diamond piece. We will give you an offer. If you accept it, we will pay you instantly. We use secure payment methods. Whether you have a diamond ring that is made out of Gold, Silver or Platinum, The Luxury Hut buys all rings. Here at The Luxury Hut, we buy both certified as well as non-certified diamond rings of any colour and clarity. You can get a free appraisal by filling in our ‘Get a Quote’ form, call one of our experts on 0207 242 5411, email [email protected] or visit our office in Hatton Garden, London (by appointment) with your diamond ring.